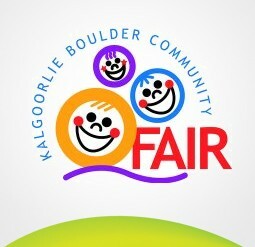 The 58th Kalgoorlie Boulder Community Fair will take place Friday 15th and Saturday 16th March 2013. Once again the Kalgoorlie Boulder Fair Society has been working hard thorough out the year organising some fantastic events for over the weekend. - And of course we have the fireworks on Saturday night and sideshow alley will be back, bigger and better than ever before. Q. What times is the Kalgoorlie Boulder Community Fair open? The Fair is open from 10am to 10pm both days with Sideshow Alley staying open until late. Public transport is the easiest way to get to the Fair - via a taxi to the Cruickshank’s arena, or via bus. There is also some parking but make sure you read all the appropriate signs so to avoid parking in the wrong areas. Q. How much are the Show bags? This year there will be literally hundreds of show bags to choose from. Show bag prices will range from $2.00 to $30.00, depending on just what sort of goodies you are looking for. Q. What time is the Fireworks? Some of the world's best fireworks will be shot into the skies of Kalgoorlie on the Saturday night of the Fair starting from 9pm. Catch the amazing colours and special effects in the sizzling atmosphere of the Main Arena and Grandstand Area. If purchasing on the internet only a reciept will be printed. Wristbands will be posted out up until 7 days before the fair. After that all tickets needs to be purchased from the box office counter. Tickets available in Person, from the Box Office (Monday to Friday 10am to 3pm), by phone or online at the website above. 2 Day passes give you entry to both days of the fair. Please Note: If a child enters the fair aged 12 or under with a parent they are free of charge. Only the parent pays for entry.